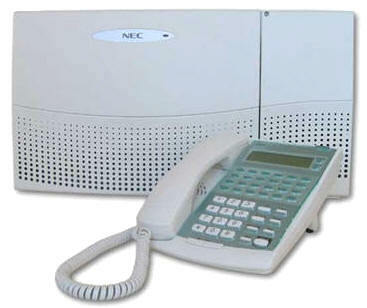 NEC's XN120 allows a business to expand their phone system in line with their own expansion plans. The XN120 was designed to meet the needs of small to medium sized businesses that are likely to grow in the near future. The XN120 is a professional, flexible and easy to use voice communication system at a an affordable cost, yet incorporating features normally found in other manufacturers systems costing twice as much. The NEC XN120 will connect either as analogue or ISDN lines, or Voice over IP, it has a flexible design that provides support for any type of phone device, including answering machines and wireless DECT phones. The XN120 is the only phone system that can be configured as small as 3 exchange lines and 8 extensions and yet be expanded to 72 extensions without having to replace a single item. In addition, it is capable of supporting the latest technology; such as CTI, VoIP, IP Telephony, and WLAN.